For many years St. Philip’s Church has served as a community of summer worshippers away from their winter parishes. All services at our lovely seaside Church are celebrated by Episcopal clergy. Our services begin each year on the last Sunday in June and end on the Sunday of Labor Day weekend. Holy Communion is celebrated at both the 8:00 and 10:00 services; the 10 am service includes music and hymns. The summer schedule is posted on the website at the end of May. All ages are welcome. 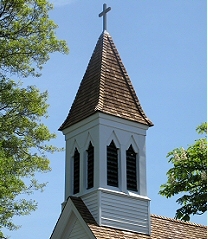 St. Philip’s Church is supported by a small endowment and by the kind generosity of its congregation, visitors and friends.